Product prices and availability are accurate as of 2019-04-20 18:23:13 UTC and are subject to change. Any price and availability information displayed on http://www.amazon.com/ at the time of purchase will apply to the purchase of this product. Author Bookstand is proud to offer The Man with the Silver Mustache: A Mystery Story by Bookstand Publishing. Bookstand Publishing offers books by the best indie authors throughout North America and the world. Bookstand Publishing is dedicated to offering original content to a broad audience and promoting great authors, literacy, and freedom of expression. 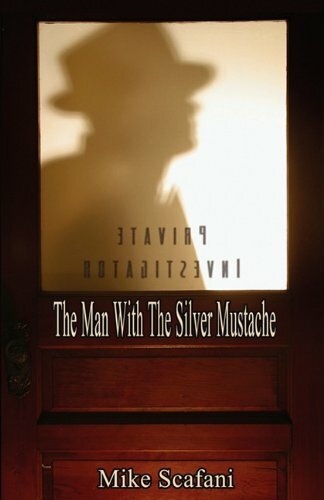 The Man with the Silver Mustache: A Mystery Story has generated a lot of interest and excitement and we think it would be an excellent addition to your library. Nick Falconi has never investigated a murder. He free lances divorce and fraud cases and is a go-to guy for an insurance company. But now he finds himself immersed in the murder of a young San Francisco prostitute. Her naked body had been found dumped in affluent Marin County. Her best friend contacts Nick and convinces him to take the case. Although Nick tried his best to refuse, the adamant friend won't take no for an answer. Now Nick finds himself in the middle of a murder case without a clue or a suspect. All he can do now is follow his gut feelings which eventually lead him to the frightening conclusion of the story.